Honda Philippines Inc. (HPI), the number one motorcycle manufacturer of the Philippines, recently awarded Brgy. 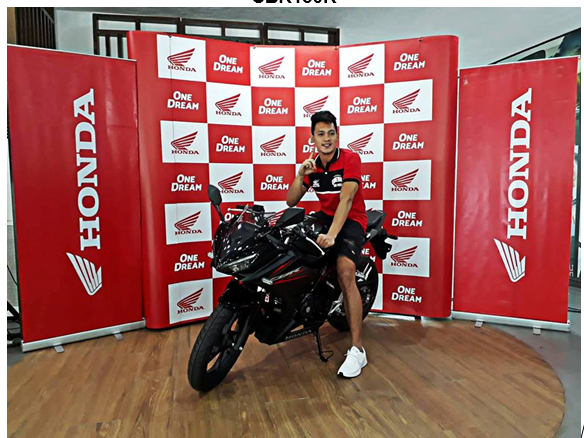 Ginebra‘s star player Scottie Thompson, 25, with a new Honda CBR150R at the Honda Safety Driving Center (HSDC). This was after he was hailed as the MVP of the 2018 PBA Commissioner’s Cup Finals. Hailing from Davao del Sur, Thompson exhibited amazing skills on the court and proved to be instrumental in helping Ginebra win the 2018 Commissioner’s Cup, their first title in 21 years. The young basketball star showed impressive talent all throughout the season and shared this success with their fans. The Davao del Sur native was also named the 2014 NCAA MVP during his college basketball at the University of Perpetual Help. He said that it was his family and fans who helped him with his journey and as for the aspiring athletes who wish to achieve their dreams, everything starts with hard work and practice. The new CBR150R features a total aggressive design with sleek and sporty exterior. This is reflected in its new racing-inspired stripes, an aggressive sporty full-cowl design, and a new color variant, Mat Gunpowder Black Metallic. Also, the new CBR150R boasts of its MotoGP DNA, 150cc Liquid-Cooled DOHC, 6-Speed Engine and advanced safety features such as the Bank Angle Sensor, which automatically switches off the engine when it reaches a near-fall angle. Unrivaled in power and speed, this superbike is a force to be reckoned with on the road. HPI’s partnership with PBA is attuned to their vision of bringing the joy of mobility to the Filipino people. This is in line with the company’s campaign, ONE DREAM, which imparts how HPI will be there every step of the way for Filipinos to achieve their dreams. For more information, you can follow Honda Philippines, Inc. on Facebook – www.facebook.com/hondaph/ or visit their official website – www.hondaph.com.